Date Ideas That Aren't Just For Valentine's! 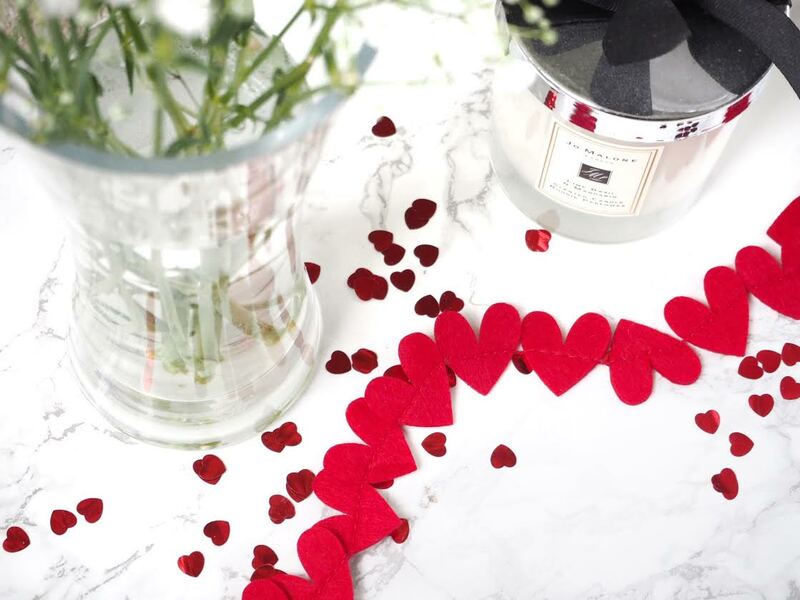 With Valentine's day fast approaching I thought it would be the perfect time to write an obligatory post about all things love and if you are stuck for ideas of what to do on the actual day itself, maybe I can help. 01. Dine in for two by Marks & Spencer. I know this doesn't sound special, but hear me out. The food is spectacular. Me and James have done this for the past couple of years (the duck is delicious) and it never fails to disappoint. It's amazing value and to add a little romance all you need to do is light a couple of Jo Malone candles and have a bit of Billy Ocean playing in the background. Perfect. 02. Forget the cinema, go to the theatre instead. Obviously this is subjective to what is on. I love a night at the theatre, it feels more like an occasion. 03. Visit a National Trust site. We have been members of the National Trust for a year now and joining is the best thing I ever did. Living up North we are pretty lucky as to what's available to us. Dunham Massey is absolutely spectacular. You can spot deer in its amazing park, and then afterwards eat yummy cherry scones in their café. You can find out more here. 04. Netflix and chill. Or in my case Amazon Prime and chill. I had to include this extremely obvious one. If you really want to keep it low key and budget friendly there is nothing nicer than popcorn, prosecco and lots of snuggly blankets. 05. A weekend away. I love a good weekend away.. especially when there is a spa option. Valentines day happens to fall on a Sunday this year, so why not go all out and start it early. Remember; you might need to book pretty sharpish as I can imagine places will be filling up pretty rapidly. Also, most hotels ask for a minimum stay of two nights at the weekend. 06. Breakfast in bed. I know there is seemingly nothing original about this, but with a bit of imagination it can be pretty fun, as long as there is no neurosis about there being crumbs in the bed.. I bought the cutest egg pan from Home Bargains for the bargain price of 99p. You can also make pancakes in it, and why not try a cheeky cocktail? I wouldn't say no to a Bellini in bed. 07. The Zoo. Who doesn't love a trip to the zoo, and what is more romantic than buying up the gift shop and seeing the cutest animals? 08. Bike it. Liverpool has a scheme called City Bike which I am pretty sure most places have now. All you need to do is register online, put some credit on your account and voila! We did this once and rented bikes to go around the park on. It was so lovely, but of course, weather dependant. 09. Bowling. There is nothing like a bit of friendly competition, is there? If you can get past the thought (and smell!) of the rented shoes, this is actually a lot of fun. Neither of us are any good at bowling, but we really have a good laugh at each other. If you want to make it extra special, there are some really spectacular bowling alleys you can go to, like All Star Lanes. 10. Go for a walk. I live quite close to the Lake District, and it is the perfect place to go for a romantic walk (and some amazing food afterwards!) Obviously nothing too strenuous! There is nothing cute about being sweaty and red faced. These ideas work all year round though. What are you doing this Valentines day?